A planned system for the collection, treatment, and reduction of runoff from a barnyard and/or feedlot to improve water quality. This is to control the rate, quality, and amount of runoff or leachate from barnyards, feedlots, or other concentrated animal-waste areas. 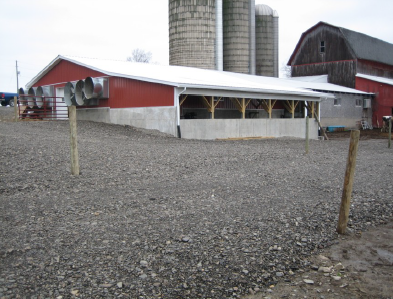 (Town of Reading) This is a beef farm that needed a help with their runoff in the winter months when the animals were concentrated to one area. 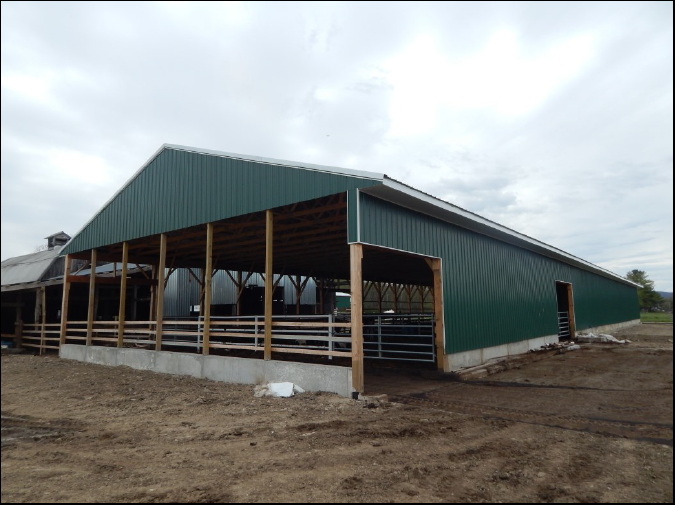 The SWCD was able to obtain New York State Agricultural Nonpoint Source funding and partner those funds with the USDA Natural Resource Conservation Service’s Environmental Quality Incentives Program funding to assist in cost-sharing a covered barnyard project on the Fleming Farms. 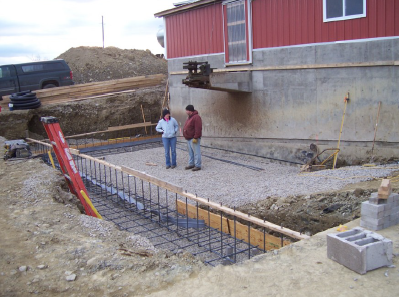 This project will help to keep clean water clean by not allowing rainwater to mix with manure and feed in the barnyard area. It will also aid in reducing both sediments and nutrients from entering nearby surface water bodies. 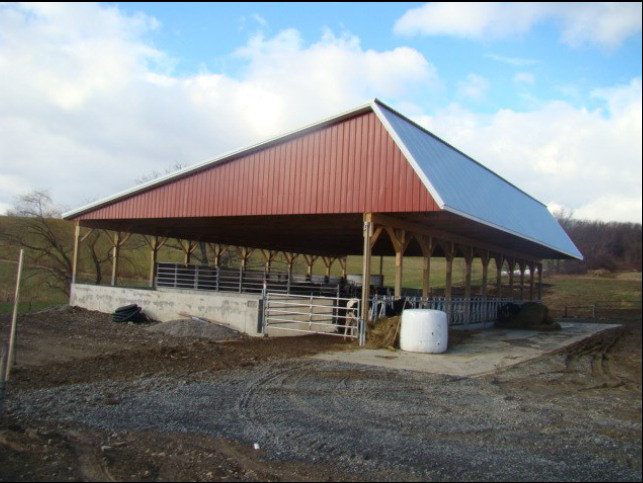 The SWCD was able to obtain New York State Agricultural Nonpoint Source funding and partner those funds with the USDA Natural Resource Conservation Service’s Environmental Quality Incentives Program funding to assist in cost-sharing a covered barnyard project on Sco-Li Farms and the Busholm Farm. 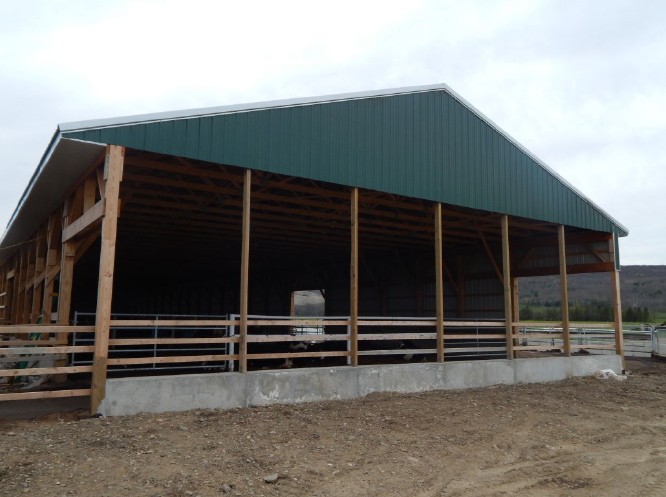 A composting facility was constructed on the Lone Oak Farm, in the Town of Tyrone. 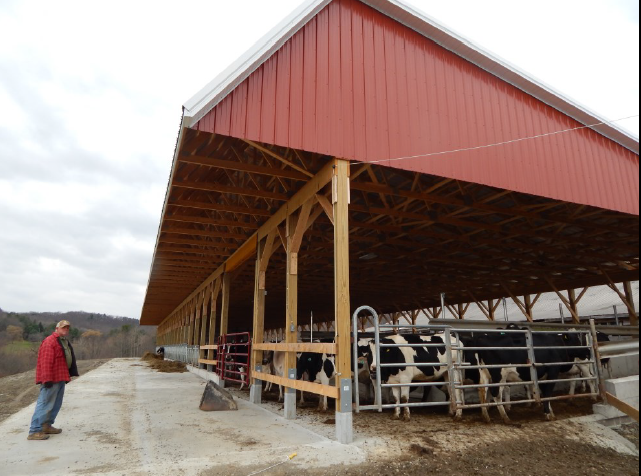 This project utilized cost share funding from the New York State Agricultural Nonpoint Source Grant fund along with a substantial amount of matching funds from the farm itself. This area will allow for manure to be collected and composted during times that are too environmentally sensitive to daily spread the manure. 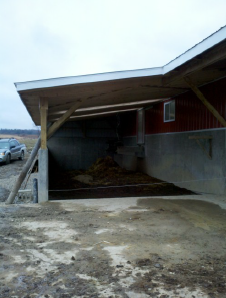 It also keeps clean water clean by not allowing rain water or roof water runoff from mixing with the composted manure.